SITE Forum is an intimate patron group for contemporary art collectors and art enthusiasts from around the country who support the progressive artistic vision of SITE Santa Fe and who enjoy following the process of exhibition-making and commissioning new artwork. SITE Forum members are invited to events in Santa Fe and beyond that center around the development and support of the exhibitions of SITE Lab, SITE Santa Fe’s exhibition project space. SITE Forum members receive special access to SITE’s curatorial team and its artists, following closely the process of developing each SITE lab exhibition. •Exclusive national and international multi-day trips planned by SITE Director Irene Hofmann to meet SITE Lab artists, visit artists’ studios, local museums and collections. •SITE Forum members are also invited to join the events of SITE’s Foundation Council and to participate in SITE’s larger travel program. SITE Forum activities and special events are organized by SITE’s Phillips Director and Chief Curator, Irene Hofmann, in collaboration with Associate Director of Development Paisley Mason, and a Host Committee of SITE Board Members and Forum Members. 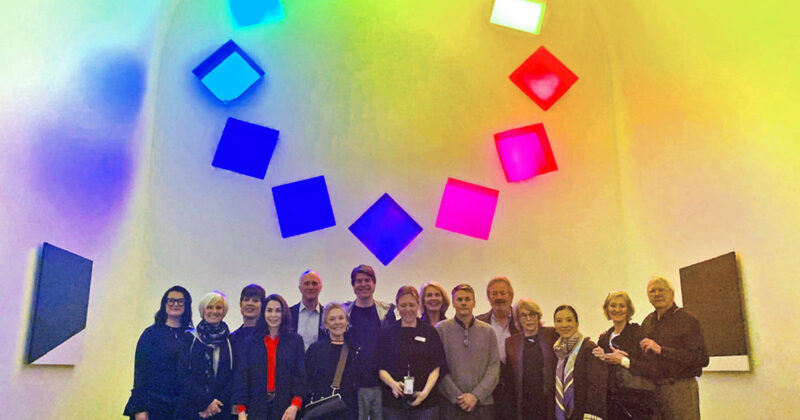 A four-day trip to Austin, TX to visit with artists and collectors and an exclusive tour of Ellsworth Kelly’s Austin. © 2019 SITE Santa Fe. All Rights Reserved.